Happy Anniversary Bio-One Fort Myers! Happy 1 Year Anniversary Bio-One Fort Myers! What a year it has been! We have handled everything from hoarding cleanups to cat urine and feces, and of course many biohazard cleanups due to death. Bio-One Fort Myers stands for Help First, Business Second. It was time to show we mean business on that right out the gate. We did not expect to be hit in the second month by Hurricane Irma. When the phone stopped ringing since cell service was down, we decided to go around to neighborhoods and help them start cleaning up after Irma. Help First, Business Second. In the coming year, we will continue doing what we do best. If we can help a family in need even in the smallest way, that is what we will continue to do. Our hope is to continue growing business through our relationships in the community and our reputation. Bio-One Fort Myers stands for professionalism and compassion. We are most grateful this year for our wonderful clients and their families. Death is difficult and can be traumatizing. We get through that ugliness by focusing on the client and their family. We are so grateful for the wonderful relationships that we formed with our clients. We look forward to follow-up calls a few months after a cleanup, where they tell us they are doing well and healing. No job is just a job. Each job is an opportunity to help a family. Each job has a story and people behind it. Each house needs to be restored to a home. 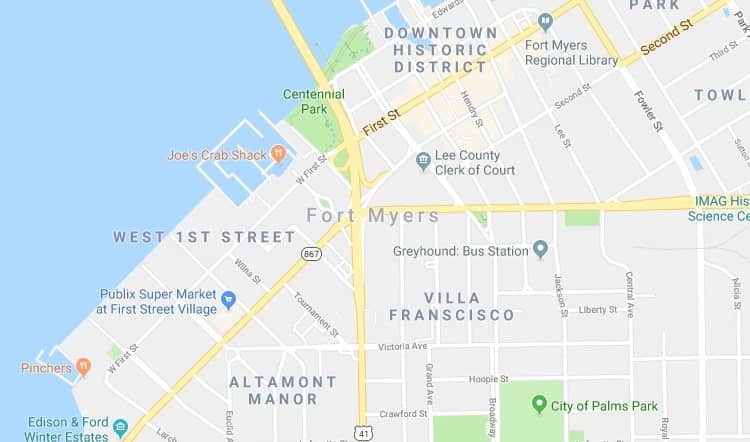 Thank you Fort Myers, Naples, Marco Island, Cape Coral, Lehigh Acres, Port Charlotte and to all of our beautiful communities in Southwest Florida for allowing us to help you in your time of need!